Liverpool are set to visit Bet365 Stadium on Wednesday night, 29th November 2017 as they take on Stoke City in the midweek Premier League game. Its a huge match for both teams for contrasting reasons with Liverpool needing a win to keep the pace with top four teams while Stoke City needs a win to stay clear of the relegation zone. 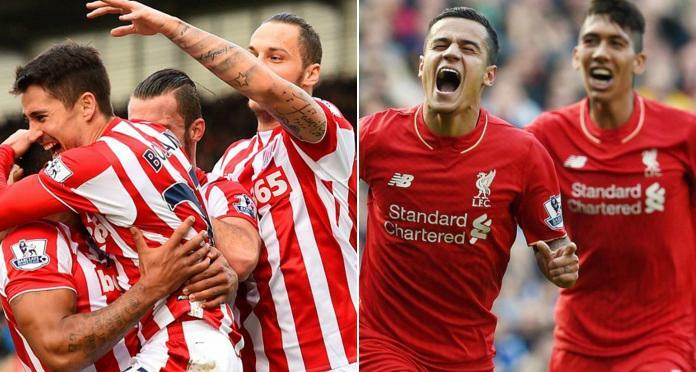 Liverpool have enjoyed some success over the recent few years against Stoke City and they will be favourites going into the game on Wednesday night as well. The match kicksoff at around 20:00 uk time and we will have live links right here on this page. Liverpool are coming into this game on the back of two draws against Sevilla in the Champions League and 1-1 result against Chelsea over the weekend. Before that however they registered 4 back to back wins scoring 13 goals in the process and conceding just one. Jurgen Klopp will be hoping similar displays continue as they head to a very busy festive period from now to end of the season. 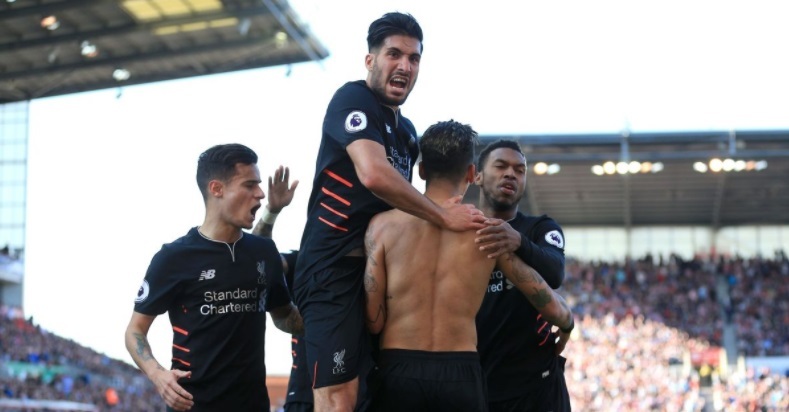 Liverpool had to rely on late goals from Coutinho and Firmino to complete a comeback win at Bet365 stadium last time these two meet in the league back in April 2017. 44′ 1 – 0 Jonathan Walters scores for Stoke City as they took the lead at bet365 stadium just before the halftime. 70′ 1 – 1 Philippe Coutinho made it 1-1 on the day midway through second half breaking Stoke’s resilience. 72′ 1 – 2 Roberto Firmino was on target minutes later to complete the turnaround. Last time these two teams meet was back in April 2016 when Liverpool ran out comfortable 4-1 winners thanks to goals from Moreno, Sturridge and Origi brace. Klopp will be hoping for a similar outing come tuesday evening. 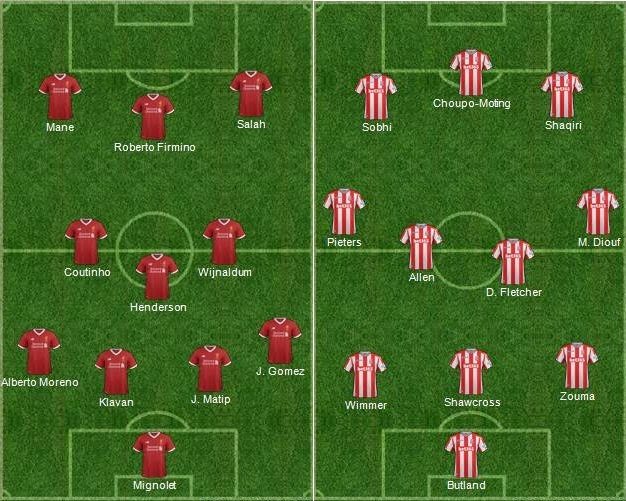 Possible Starting Lineups: Mark Hughes also has some selection headech ahead of the big game with Xherdan Shaqiri likely to be given the start while Marko Arnautovic (Suspended), Ibrahim Afellay (Injury), Geoff Cameron, P.Bardsley and Butland are still out of the squad. Which means we might see the similar starting lineup against Liverpool which took the field against Leicester City. Match Predictions: Reds look such a well drilled unit at the moment and I expect them to get all three points against Stoke City who are on bare bones when it comes to suspensions and injuries. Only concern Liverpool might have is their unpredictable form where out of nowhere they dropp points in games like this. So a team dominating the match while playing away, and continuing the pressure into injury time is Lucky? Is this what you think of Manchester UTD pressure late wins in Alex Ferguson’s era? This is a lame biased article and you know it, but I blame your editor for allowing it to run the way it’s written.